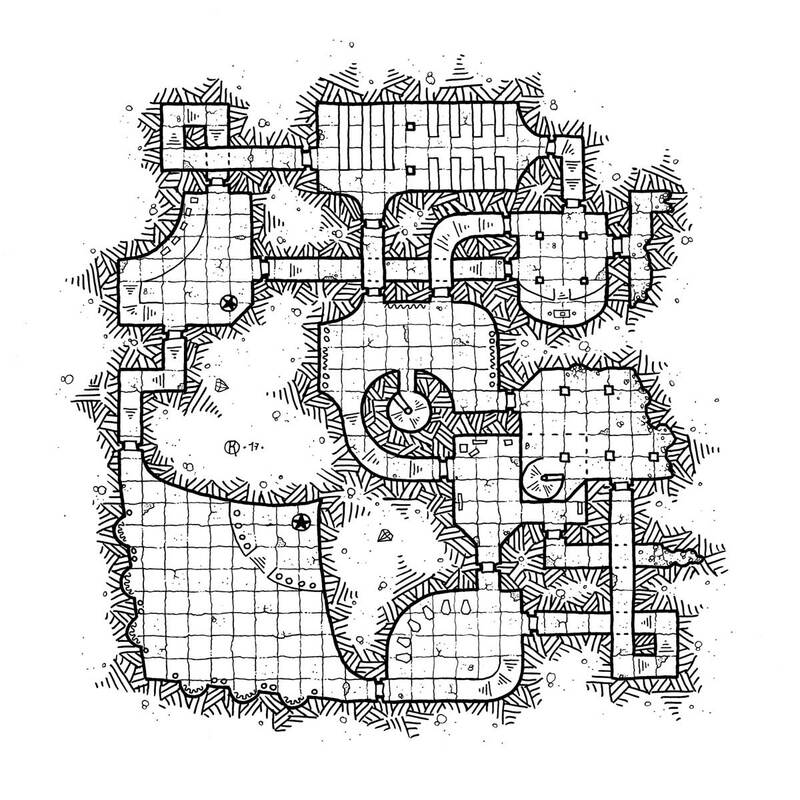 This old damaged underground structure was recently discovered by a goblin group. The vermins have already begun to loot the places and piled up their booty in one of the dungeons’ rooms. The remains of jagged goblins hanging here and there suggest that a much more dangerous creature occupies this dungeon. This level of the modular dungeon combines perfectly with the entry of last week. Together, they form a perfect dungeon for an evening full of adventure.